Everyone who drinks coffee knows that it makes you have to pee, right? 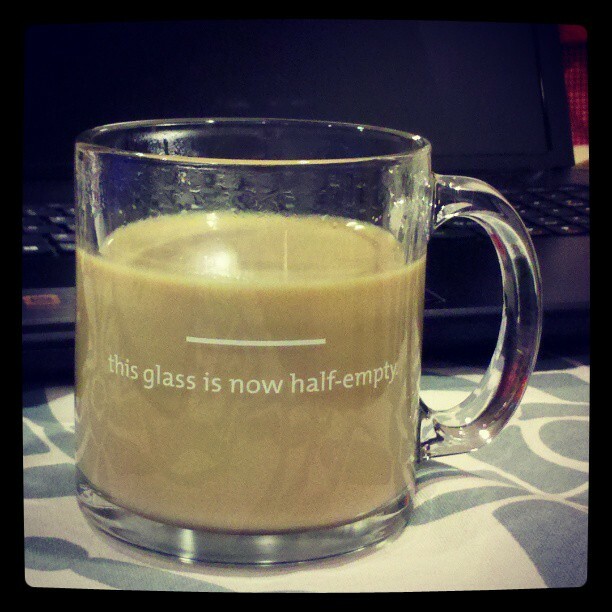 You may also be aware that scientists are heavy coffee drinkers. This anecdata would support the idea that coffee/caffeine dehydrates you by acting as a diuretic. Well, this is why anecdata is dangerous to rely on. I heard it on NPR (who did good by linking to the original PLoS study in their article!) that, caffeine, “when consumed in moderation by caffeine habituated males provides similar hydrating qualities to water.” (Source: Killer, Blannin, and Jeukendrup PLoS 2014 since PLoS stands for Public Library of Science, the article is freely available for all to read!). *Disclaimer: DO NOT dump an urn of hot coffee over the head of anyone as a celebratory gesture as is frequently done with Gatorade. Coffee is hot and can result in severe burns. The other day my IRL friend Christi (who also happens to have a blog at Three Mugs To The Wind) posted a link to this piece in from the New York Times Well Blog: This Is Your Brain on Coffee. Grab a cup of java and check it out for a short read on all the wonderful things coffee does for your brain. It reminded me of this infographic which I’ve shared before, here. I have documented my coffee habit, scientifically proven to be common among scientists, add in parenting two small humans, and I am reliant. I wasn’t really sure what the problem was from the headline. 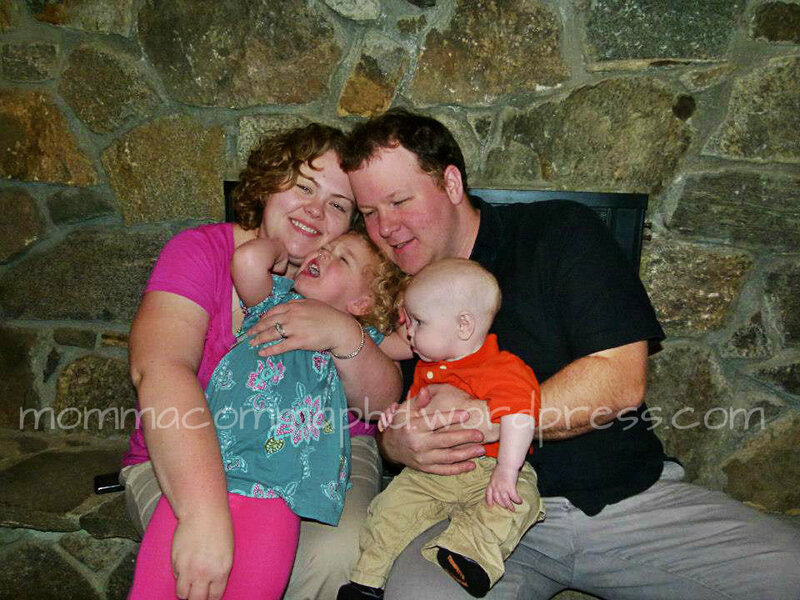 Were mommy-bloggers upset over child labor? Were newborns put to work on a drug study? What’s going on?! All the hubbub is over Poster #74 at ACOG’s Annual Meeting. Title: “Oxytocin Usage for Labor Augmentation and Adverse Neonatal Outcomes” by Dr. Michael S. Tsimis et al. What the study looked at? The take home message? The study (as far as I can ascertain from the ACOG press release) did not establish a causal link between pitocin use and adverse effects in newborns, it showed a correlation. Like any drug, pitocin isn’t without side effects. Doctors and patients must exercise their judgement in using it- adverse effects from pitocin may be preferable to outcomes of NOT using it and complications of delayed delivery of a baby. Keep in mind, since this is a poster and not a published paper, the data hasn’t been peer reviewed, actually, unless you are actually AT that meeting, you can’t see the data, because it’s on a poster. My search for the abstract was fruitless, leading me in circles back to the press release. So, as always, talk to your doctor, ask questions, make informed choices. Don’t just listen to some random mommy-blogger (or in this case, #scimom blogger/Evidence Based Parenting blogger) on the internet. As I mom, I can attest to the fact that there have been numerous occasions where my children were crying- either in their bed, on the floor, or in the arms of another person- and the moment I took them into my arms, the crying ceased. It’s often insulting to the person who has been holding them, but that is what they’ve done. 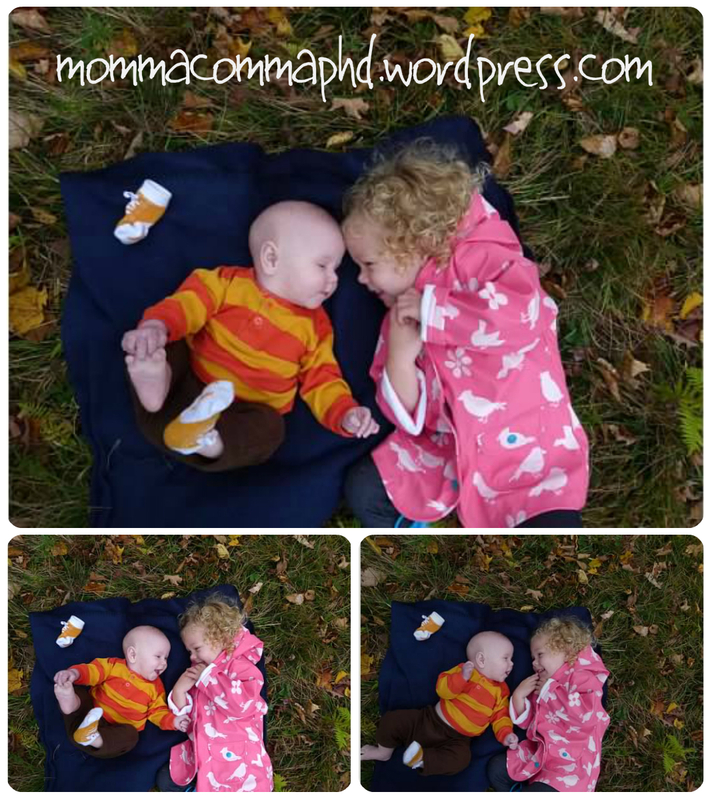 I’ve written before about research showing just how calming a mom can be for children of all ages- even just that mom’s voice, here. It’s always oddly fascinating to me when research proves what we’ve always known/felt/believed to be true. Turns out that human babies, and lots of other mammalian babies, respond similarly to being carried by their mother (or perhaps caregiver in the case of humans), by calming down. 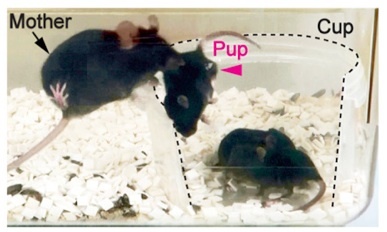 Image from Esposito et al of the ‘behavioral task of maternal rescue’ wherein Mother Mouse rescues her pups from a cup. This is similar to humans rescuing an infant from under the coffee table or a toddler from the monkey bars at the park. A recent paper by Esposito et al entitled “Infant Calming Responses during Maternal Carrying in Humans and Mice” published in Current Biology looked at the responses of babies (of the human and murine variety) as well as dissecting what signals actually contribute to those responses (in the murine babies). The same happens to mice, and since we can do experiments on mice that we can’t on babies, researchers looked further into the murine response to see how it worked. Turns out, mice babies cry too (Ultrasonic Vocalizations, USVs). Just like humans, when a mouse mom carries her pup, it calms down. In a mouse, that means the pup stops crying/making USVs, adopts a compact posture (drawing up its hind legs and being still), and its heart rate drops. The researchers used several different techniques to figure out what cues were causing these behaviors and figured out that it was a combination of actually feeling the mother grasping its skin and proprioception (basically sensing that it is being carried). It’s fascinating to me how behaviors and responses are shared between species. It also reminds me how primal newborns are. However, the paper had one CRITICAL flaw. MAJOR. As in I don’t know how the reviewers and editor missed it. A scientific understanding of this physiological infant response could prevent parents from overreacting to infant crying. Such understanding would be beneficial to parents by reducing frustration, because unsoothable crying is a major risk factor for child abuse . Source. To this I say, “HAHAHAHA! Are any of you even parents?! At 3 am when you haven’t gotten any sleep and your kid just WILL NOT SHUT UP- does the knowledge that “the identified effects of carrying on parasympathetic activation and cry reduction were significant and robust” make one damn bit of difference?! * I think not. *I’m only partly joking. When my kids were infants and being difficult/impossible to soothe, I did remind myself that they weren’t intentionally trying to piss me off. I suppose this understanding of what soothes them might similarly serve as a reminder that babies aren’t out to get you on a personal level at 3am by refusing to sleep and/or let you stop pacing around and/or nursing them.